Full line of high quality Hager Spring Hinges. 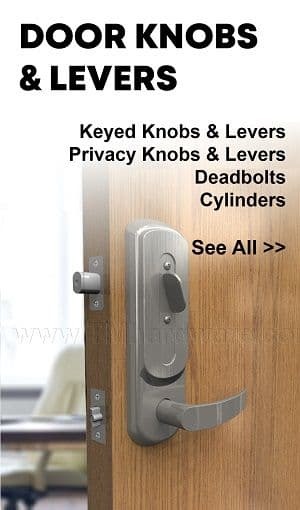 Includes Three and Five knuckle spring hinges and swing clear spring hinges. 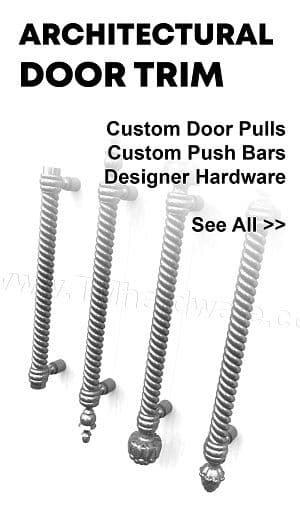 These spring hinges are fitted with one or more springs to close a door automatically. 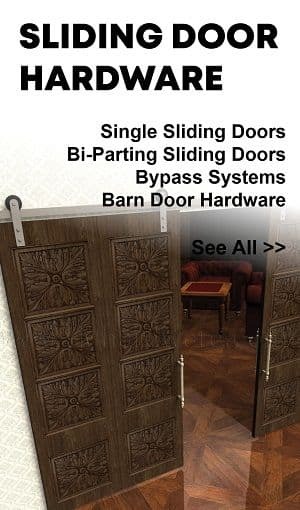 For best operation use all spring hinges on your door or combine with spring hinges and ball bearing hinges. 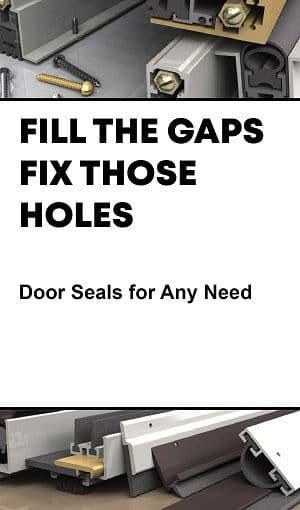 Do not use together with plain bearing hinges. 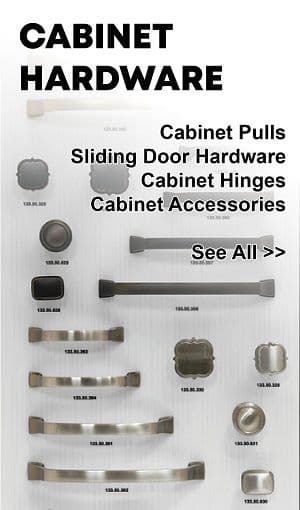 For more information, see our Alll You Need to Know About Hinges page. Hager 1150, Full Mortised Spring Hinge, Stainless Steel, Doors up to 150 LB, Sized 4.5"
Hager 1150 Architectural Hinge, Full Mortise, Three Knuckle, Single Acting Spring Hinge for Automatic Closing of Doors, Standard Weight, Stainless Steel with Stainless Steel Components. Choice of sizes and finishes. Hager 1250, Full Mortised Spring Hinge, Steel, Doors up to 150 LB, Sized 3.5" - 4.5"
Hager 1250 Architectural Hinge, Full Mortise, Three Knuckle, Single Acting Spring Hinge for Automatic Closing of Doors, Standard Weight, Steel with Steel Components. Choice of sizes and finishes. 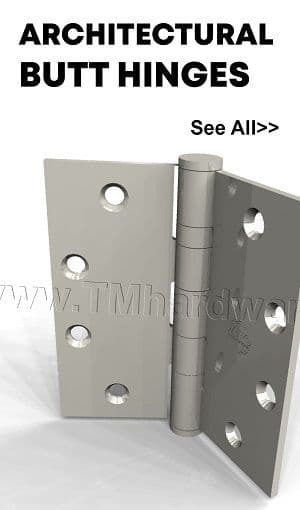 Hager 1251, Full Mortised Spring Hinge, Steel, 1/4" Radius, Sized 3.5" - 4.5"
Hager 1251 Architectural Hinge, Full Mortise, Three Knuckle, Single Acting Spring Hinge with 1/4" Radius Rounded Corners for Automatic Closing of Doors, Standard Weight, Steel with Steel Components. Choice of sizes and finishes. 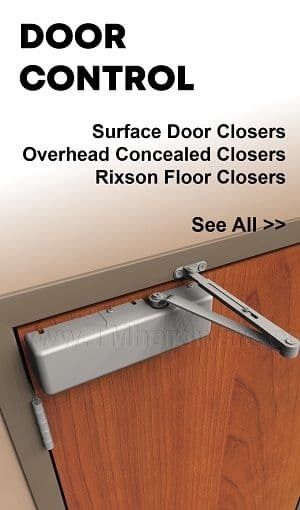 Hager 1252, Full Mortised Spring Hinge, Steel, 5/8" Radius, Sized 3.5" - 4.5"
Hager 1252 Architectural Hinge, Full Mortise, Three Knuckle, Single Acting Spring Hinge with 5/8" Radius Rounded Corners for Automatic Closing of Doors, Standard Weight, Steel with Steel Components. Choice of sizes and finishes. Hager 1255 SET, Full Mortised, (2) Spring (1) Anti-Friction Bearing Hinge, Steel, 115 LB Doors, 4.5" x 4.5"
Hager Set 1255 is a Spring Hinge System comprised of (2) H1250 Single Acting Spring Hinges and (1) HAB700 Anti-Friction Bearing Hinge, Standard Weight, Steel Hinge, Square Corners, Sized 4-1/2" x 4-1/2" with a choice of finishes. Hager 1256 SET, Full Mortised, (2) Spring (1) Ball Bearing Hinge, Steel, 115 LB Doors, 4.5" x 4.5"
Hager Set 1256 is a Spring Hinge System comprised of (2) H1250 Single Acting Spring Hinges and (1) HBB1279 Ball Bearing Hinge, Standard Weight, Steel Hinge, Square Corners, Sized 4-1/2" x 4-1/2" with a choice of finishes. 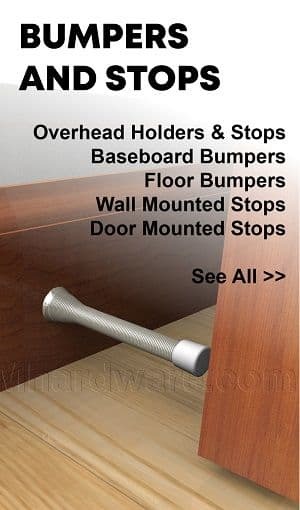 Hager 1257, Full Mortised Reverse Action Spring Hinge, Steel, Sized 3.5" - 4.5"
Hager 1257 Architectural Hinge, Full Mortise, Three Knuckle, Single Acting Reverse Action Spring Hinge with Square Corners for Automatic Opening of Doors, Steel with Steel Components. Choice of sizes and finishes. Hager 1258, Full Mortised Reverse Action Spring Hinge, Steel, 1/4" Radius, Sized 4" - 4.5"
Hager 1258 Architectural Hinge, Full Mortise, Three Knuckle, Single Acting Reverse Action Spring Hinge with 1/4" Radius Rounded Corners for Automatic Opening of Doors, Steel with Steel Components. 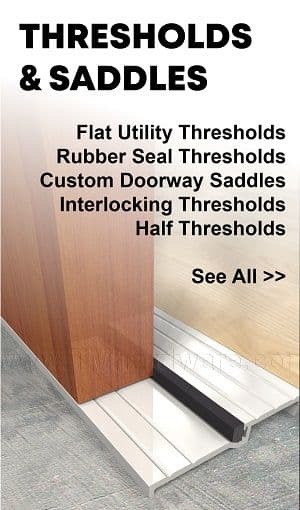 Choice of sizes and finishes. Hager 1259, Full Mortised Reverse Action Spring Hinge, Steel, 5/8" Radius, Sized 4" - 4.5"
Full Mortised, Architectural reverse action, single acting spring hinge, by Hager, with three knuckles and 5/8" radius rounded corners. 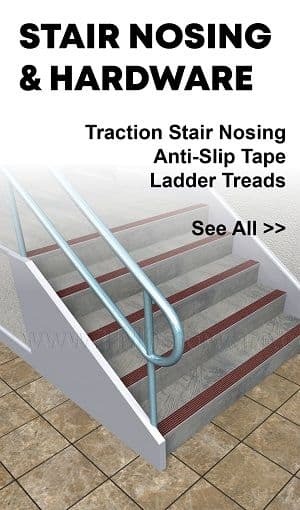 Reverse action spring hinge for automatic opening of doors. Steel with steel components. 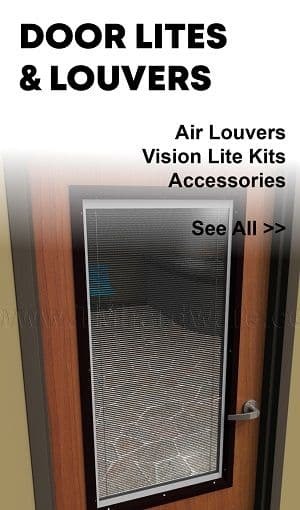 Variety of sizes and finishes available. Hager 1267, Full Mortised Swing Clear Spring Hinge, Steel, 4.5" x 4.5"
Full Mortised, Architectural swing clear spring hinge, by Hager Companies. 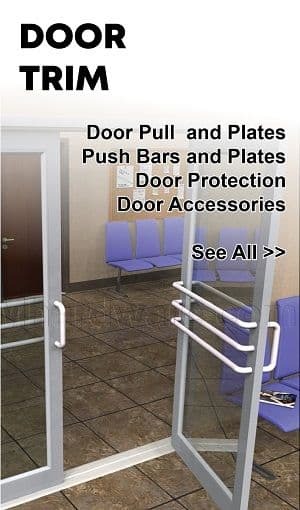 Spring hinge for automatic door closing. Steel with steel components. 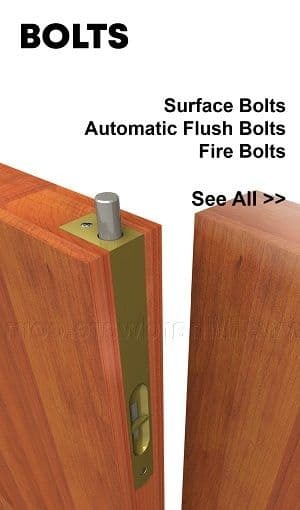 Size of hinge is 4-1/2" x 4-1/2" with three finishes available. Hager EC1105, Full Mortised ECCO Spring Hinge, Steel, 4.5" x 4.5"
Full Mortised Architectural, single acting spring hinge, by Hager, with three knuckles and square corner. 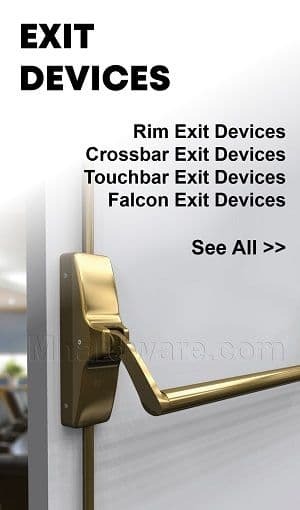 Spring hinge for automatic closing of door. Steel with steel components. 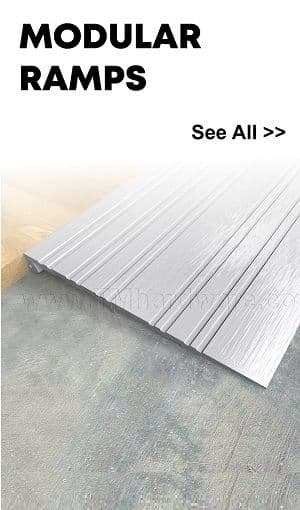 Hinge size is 4.5" x 4.5" and is available in many finishes.